#OptOutside with us this Black Friday on Breakneck Ridge to get some post-turkey exercise, take in the awesome views, and help keep our trails beautiful. We're excited to be joining REI's #OptOutside movement on Black Friday. 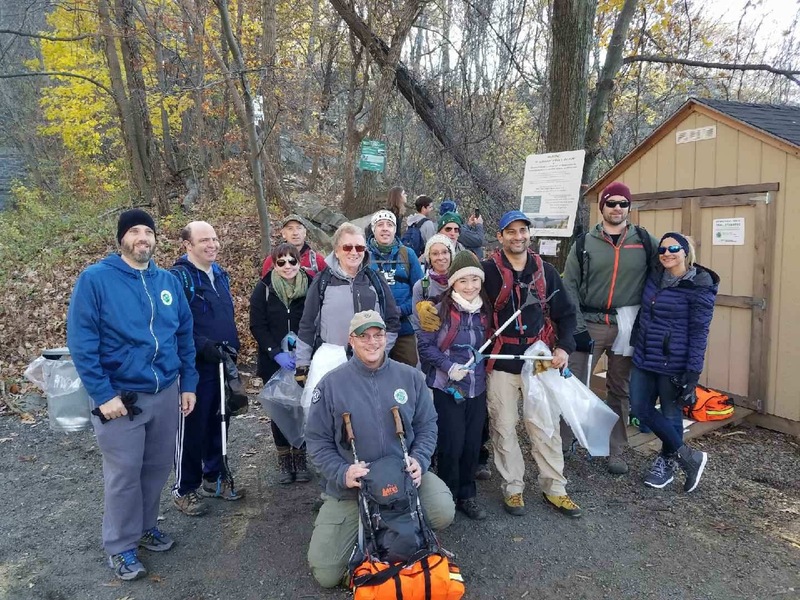 The Trail Conference invites you to choose adventure over things on Friday, Nov. 23, as we lead a stewardship hike up Breakneck Ridge. We’ll be guiding participants up this popular, challenging climb, asking everyone to help pick up litter along the way. On the hike down, we’ll showcase some of the great work our trail crews have done along the Undercliff and Wilkinson trails to improve the experience at this spectacular location. Sign up now to get some post-turkey exercise, take in the awesome views, and help keep our trails beautiful. Registration is required, and space is limited to 20 people. This is a strenuous climb. Wear sturdy shoes and bring plenty of water. Dress for the weather. We’ll meet everyone at the Breakneck trailhead at 10 a.m. on Friday, Nov. 23. No car needed to join us! Take Metro North to the Breakneck Ridge or Cold Spring, N.Y. station, and we’ll pick you up. You must let us know if you require pickup 24 hours in advance. Contact details will be provided upon registration. We’ll provide gloves and bags for the cleanup. The event will last approximately 3-4 hours.